And so, after discovering my candy love, I found Star Project. And guess what, I think this is better than My Candy Love. Both are good in different ways. 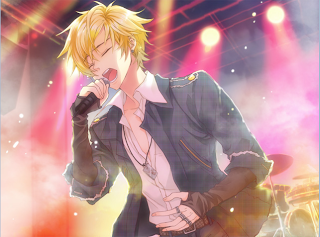 But for Star Project, you can play for a longer period of time as compared to My Candy Love. However, in star project, you cannot customize your own character. And currently the game is still developing more and more guys for the players. The art work is superb. Great storyline. Love the dokidoki scenes. Can't get enough of this game. Really enjoyable & its free!! i love it! wish i could customise the player though. I hate how they ditched it so it seems. or at least their not putting as much effort into the game as they did the korean version. theres only two stars in the european version (i.e english or japanese version) but theres 7 full stars in the Korean version. if you know how to get the Korean version in english or so then play that don't even bother with the european one the other star you get is on an expensive contract and with only one star at hand its nearly impossible to get the money for another month let alone day for playing with him.